Carotenoid Complex has been rigorously tested and proven to be highly bioavailable by numerous independent researchers. Assuring that a product is bioavailable, meaning that after it is ingested, it actually is utilized by the body, is an important step in the development of any nutritional product. Carotenoid Complex has been rigorously tested and proven to be highly bioavailable by numerous independent researchers, including several from the U.S. government! In fact, we know of no other nutritional supplement that can provide as much HUMAN bioavailability data as Carotenoid Complex. 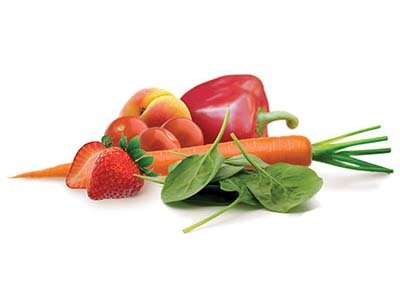 Carotenoid Complex is an all-natural, lipid-soluble antioxidant supplement derived from tomatoes, carrots, spinach, red bell peppers, strawberries, apricots, and peaches. Many researchers have chosen Neolife's Carotenoid Complex for their studies because it is a broad-spectrum, whole-food carotenoid supplement that provides a consistent, standardized form of carotenoids that they can base their studies, and reputations on! Such scientific scrutiny assures you that the ingredients in Carotenoid Complex are in fact reaching your body to do their work. NeoLife's Carotenoid Complex still delivers all the powerful protection that our first-generation product delivered. In fact, to underscore the fact that our new technology provides all the benefits and meets all of our original claims, Carotenoid Complex was subjected to a new bioavailability study. Increased carotenoid concentrations in the blood for all measured carotenoids. Increased blood carotenoid levels above baseline* after six weeks of eating a low-carotenoid diet. Provides blood concentrations of certain carotenoids at higher levels than from a normal diet alone. Provides all the protective benefits as the original Carotenoid Complex.